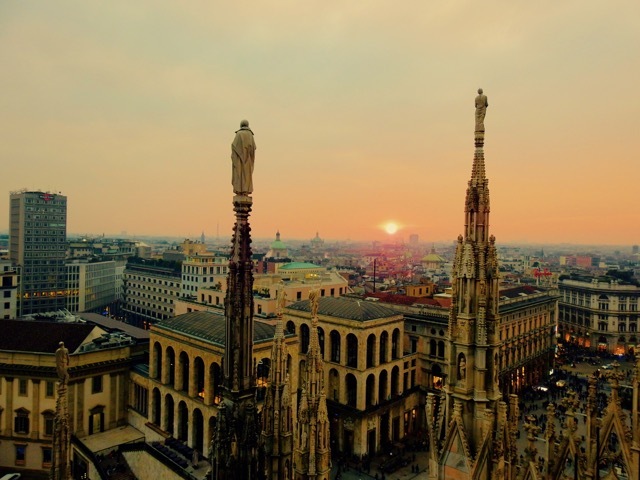 Milan is famously renowned for its fashion week and shopping district, not to mention the gorgeous architecture, and delectable dishes they serve. 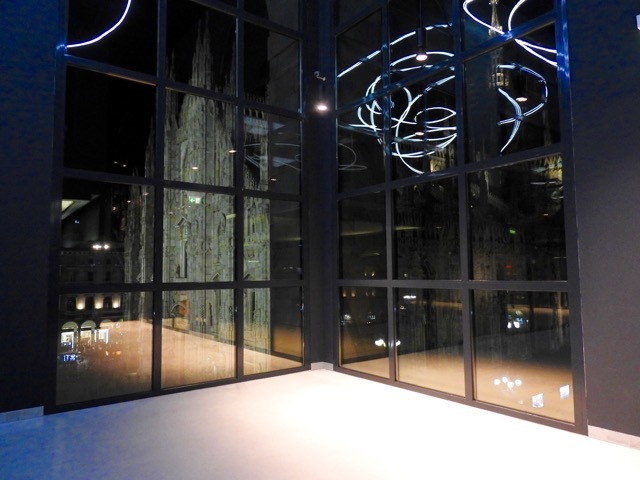 Walking along Piazza del Duomo on a beautiful, enchanting evening is my favourite past time in Milan, but in addition to this, there is so much more to see and discover. 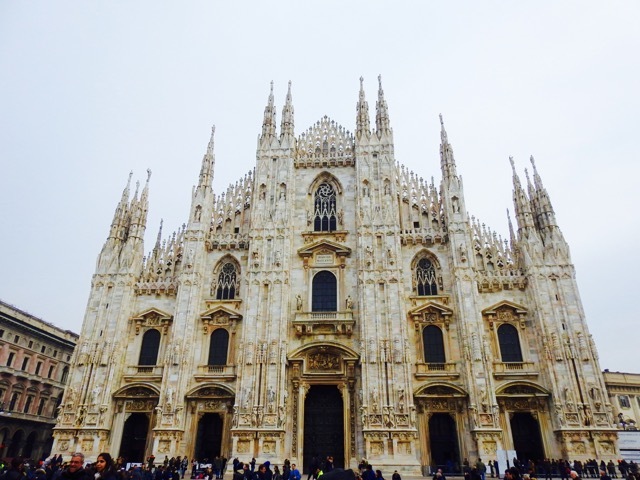 The most famous Milanese landmark is Duomo. For 9 euros you can climb the short staircase and feast your eyes on the city from 150 metres. 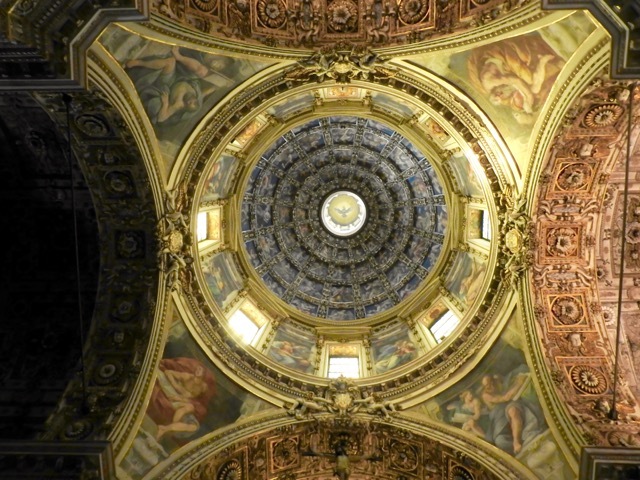 You will get a more in-depth sight into the masterful architectural years of work that has gone into the Cathedral and be able to take mesmerizing photos of the whole city. Alongside climbing to the top of the Cathedral, for a quarter of the price, at 3 euros, you can step inside and admire the structure from the inside. A great place for meditation and prayer and to soak in the beauty of the entire building. 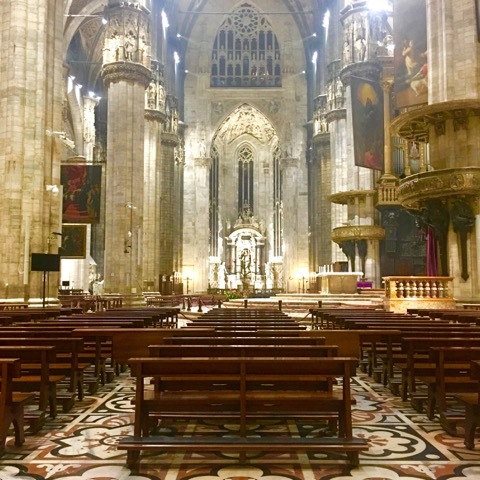 The best times to visit the Duomo would be early morning as soon as they open their doors 8 am and in the evening two hours before closure, around 5 pm. There are fewer people around that time, so you can enjoy the experience and catch the sunset during the winter. 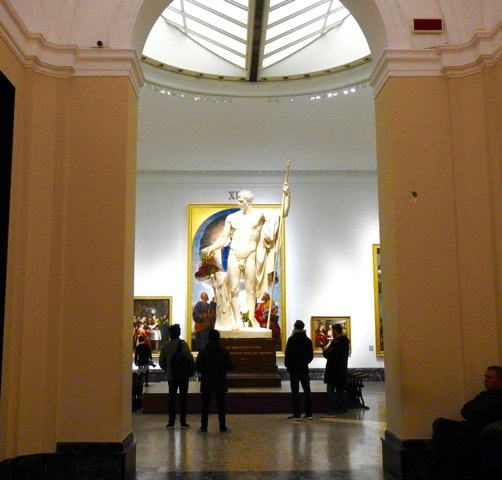 With its 5 euro entrance price for EU members over the age of 25, this gallery is home to a beautiful variety of modern art and renowned Italian artists such as Boccioni and Severini to name a couple. With its walls meticulously decorated with abstract, realism and surrealism paintings, I would recommend that you will require approximately 3 hours of your day to immerse yourself in the inspiration it exploits. Its doors are open from 9:30 am, excluding Monday when they open at 2:30 pm and closing at 7:30 pm on Wednesday, Friday, Sunday, and Tuesday. The remaining days it closes at 10:30 pm. 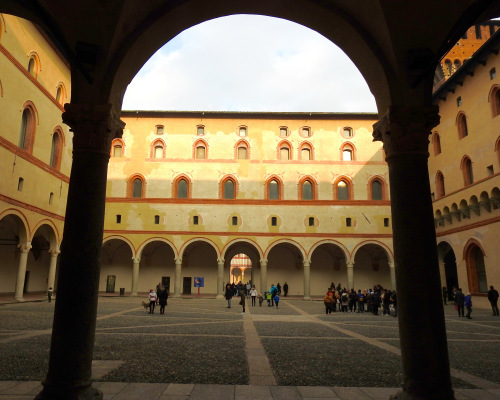 This structurally pleasing museum, situated in the art district known as Brera, was open in Milan in the hopes of becoming the ‘Italian Louvre’. 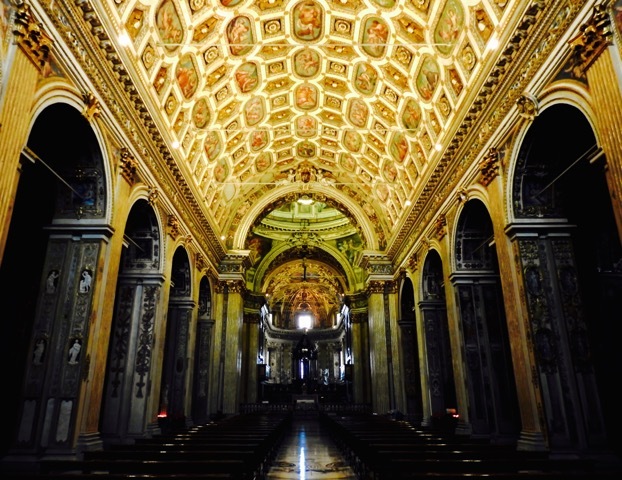 With it housing fantastic classical pieces from the likes of Caravaggio and Bellini, it is a beautiful place to wander and discover Italy’s richness in 15th and 16th-century art. Tickets cost 10 euros. Entry hours throughout the week are from 8.30am and closes at 7.15pm. The gallery is home to an array of some of the most exquisite art and would advise you take your time when viewing. Average time spent is between 3 – 4 hours. This gorgeous 15th-century castle was built by the Duke of Milan, Francesco Sforza. With its free entrance to have a wander around the beautiful exterior, there is a lot to learn about the place. It is home to a selection of museums which are opened every day except Mondays, from 9:30 am to 5:30 pm, with tickets costing 5 euros. A beautiful piece of history which you should try to take the time to witness for yourself. 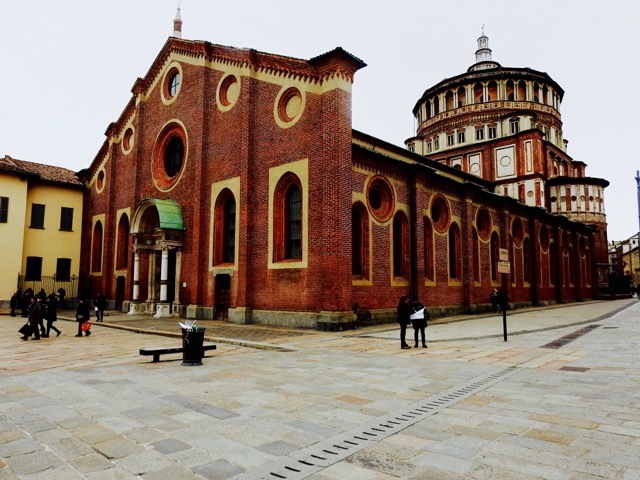 This church is very may be very simplistic in design, but this UNESCO World Heritage site is home to Leonardo Da Vinci’s The Last Supper painting. Entrance to the church is free, but if you want to be lucky to witness the world famous piece of art, you need to book tickets months in advance, as they sell out very quickly and they only open their doors to see it on certain days. A museum is also present, but you have to also book in advance before turning up. With its minimalist, sincere exterior, it is rather easy to miss this place, but easy to find once you know where to go. It is located beside the National Museum of Science and Technology. Don’t be fooled by it’s dull facade as once you step inside, you are transformed into a surreal world of beauty! It is by far my favourite tourist landmark in Milan! With its tranquillity and gorgeous interior design, I say it is a must to visit! You can visit it on certain days, depending on date and time. Usually, on Saturdays and Sundays, they are open for public viewing from 9.30 am until 13:30 pm and then its reopened at 5:30 pm. On Mondays it is accessible to the public at 10:30 am until 12:30 pm.